As a student, managing your money can be difficult. We’ve all heard the stories of students surviving on nothing but ramen noodles for months. But there’s a better way! Take advantage of the many opportunities presented here to save some cash on your essential purchases, and you’re sure to have enough left over to buy proper food. You’ll find great deals on clothes, food, travel, electronics, school supplies, and more! And if you need budgeting tips, make sure to check out our 6 Budgeting Tips for Students and Free Student Budget Worksheet. If you’re a full time student, or enrolled in at least 20 hours or more of study time per week, you can qualify for an educational discount of up to 40% off Ableton Live Standard and Suite products. Just stop in to your local music store or visit their website and verify your educational status. See Ableton Student Deals. Academic Superstore offers student and teacher editions of top selling software like Adobe Creative Cloud, computers, tablets, and accessories like the Wacom Intuos graphic tablets. You’ll need to prove eligibility with a copy of your student ID card, fee receipt, course schedule or other documentation to qualify. See Academic SuperStore Student Deals. Adobe offers big discounts to students and teachers. You can save 60% off their All Apps annual plan or Photography plan. This discount works for those enrolled in universities or colleges, primary or secondary schools, and even homeschoolers (as defined by state regulations). You can find these student and teacher editions on Adobe’s website or through most campus bookstores and other online retailers. See Adobe Student Deals. Bring your valid student ID in to any Allen Edmonds store or shop online through AllenEdmonds.com and verify through ID.me to get 25% off regularly priced men’s shoes, clothing and accessories. They also have a $150 off deal called The New Student Interview offer. See Allen Edmunds Student Deals or get the $150 off new student interview deal. If you are a student attending classes at least 100 miles away from where your car is garaged, you can get 35% off your Allstate premiums. See Allstate Insurance Student Discounts. If you’re a full time student under the age of 25, Allstate will give you up to 20% off just for maintaining good grades. See Allstate Insurance Good Student Discounts. At Amazon.com, students get 50% off their Amazon Prime memberships and a free 6-Month trial period courtesy of Sprint. This means free 2 day shipping, free access to a variety of streaming tv shows, movies, and music, unlimited cloud storage for your photos, and plenty of exclusive deals and promotions. Plus, Amazon Prime Student members can earn a $10 credit for every friend they refer! See Amazon Prime Student Deals. Amtrak offers a student discount to those age 13-25 who show a valid student ID. You’ll get 15% off the lowest Value Fare or Flexible Fare when you book your train tickets at least 3 days before you travel. See Amtrak Student Deals. If your school is registered for the Apple Store for Education program, you can save big with discounts on Apple computers, software, and even select third party products. Just head on over to their website and search for your school to get started! See Apple Store Student Deals. Save 10% on your purchase at ASOS when you shop through their link. See ASOS Student Discounts. AT&T offers a signature discount program through many employers and schools. Just go to their site and enter your school email address to check for eligible discounts. If you don’t have a school email address, you can also bring your valid student ID to any AT&T Store to have an associate check your eligibility. See AT&T Student Discounts. US based students in accredited collegiate-level schools may be eligible for discounts through B&H Photo and Video’s EDU Advantage program. Sign up for a membership on their website and you’ll enjoy discounted prices on thousands of products as well as class supply lists and even an EDU hotline to help you connect with their team of professionals. Banana Republic offers an everyday discount of 15% off full-priced items at any of their store locations. Just show a valid student or teacher ID to score the savings. See all Banana Republic and Banana Republic Factory coupons. Best Buy offers college students discount pricing on technology and supplies like laptops, accessories, software and more. Register for a My Best Buy account, then sign up for their special College Student Deals and you’ll receive codes to redeem online or in store! See Best Buy Student Discounts. Students get 90% off news stand pricing when they subscribe to Bloomberg Businessweek, plus a free iPad and iPhone digital subscription, over 150 hours of career development content and a premium career assessment! See Bloomberg Businessweek Student Discount details. Students get 20% off local truck rentals and 15% off one-way moves. Just use discount code TRUKU when you reserve your truck online. See Budget Truck Rental Student Discount deals. Carnegie Hall in New York offers $10 student tickets for select performances. With a valid student ID, you can purchase up to 2 $10 tickets at the box office. You can also join their Student Insider program for a $15 processing fee, in order to purchase student tickets online or by phone. See Carnegie Hall Student Deals. Caseable has a 15% off deal running for students. See details. Champion offers 10% off for actively enrolled students through their website. You’ll need to verify your academic status with your student ID in order to receive your unique promo code. See Champion Student Discounts. As a member of StudentRate.com you can earn 4% cash back on any purchase at Charlotte Russe when you shop through their web link. See Charlotte Russe Student Deals. 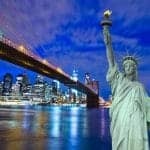 CheapOair.com offers a best price guarantee on flights to fantastic destinations like Vancouver, Grand Cayman Island, Milan, and Cape Town. And with promo code STUDENT30, you’ll score up to an additional $30 off round trip deals for 3 or more passengers! See CheapOair.com Student Discounts. Sign up for a Student Advantage Discount Card and you’ll get 15% off at participating Choice Hotels locations. See Choice Hotels Student Discounts. Show your valid Student ID at the box office of participating Cinemark theaters and you can save on tickets to the hottest new movies. To find a Cinemark theater near you, just enter your zip code at their website. Discount days and times vary by location. See details. College students can get 20% off full-price and sale merchandise. Simply sign up with your .edu email address on their site, or present your valid student ID while shopping at any of their stores to save! See Club Monaco Student deals. Join the free V.I.P. Student Travel Club offered by Coach USA and ShortLine to save big on bus fares. You’ll enjoy specials like their “Go Anytime” student discount, TGIF student discount, and charter break specials too! See Coach USA Student Discounts. CollegeBudget is an online shopping network exclusively designed for college students. They’ll help you stretch that budget with savings on textbook rentals, student loan comparisons, exclusive scholarships, and discounts on some of your favorite brands. Just sign up on their site to access promo codes and online courses too! See CollegeBudget.com. CorePower Yoga offers specialty pricing for full time students. Stop in to your local studio for details! See CorePower Yoga Student Discounts. Das Keyboard’s educational program offers special pricing for students and faculty members. Just contact them about eligibility and they’ll send you a 20% off coupon for a new keyboard of your choice, plus you get free shipping (except to Hawaii or Alaska). See Das Keyboard Student Discounts. The Dell University program has plenty of benefits for students shopping for technology products. In addition to a coupon offerning a 20% discount on all PCs in the Member Exclusive Store, you can take advantage of their price match guarantee, as well as the Dell Advantage Loyalty Program offering 6% back in rewards, free expedited delivery, and exclusive members-only offers! See Dell University deals. Students can save 10% at Dorothy Perkins. See Dorothy Perkins deals for students. Elsevier offers their Evolve program: a destination for online savings for healthcare students. There you’ll find free shipping on print titles and instant access to most of their electronic products as well as HESI secured exams. See Elsevier Evolve details. If you’re a student at one of the Pac-12 schools (or even if you’re an alum), you can save up to 15% off your premiums with esurance. Just mention it when you sign up or call them to get your discount. But what about those who attend other schools or universities? High school, college, or university students under the age of 25 who maintain at least a 3.0 (or “B”) average can save up to 10% on coverage for liability, collision, and medical payments. See Pac-12 discount & Good Student discount details. All travelers under the age of 28 can qualify for a youth pass through Eurail. These passes offer up to 35% off the standard adult prices, this is a great way to see Europe on a budget! See Eurail Youth discounts. UNiDAYS members get 15% off all purchases at Express – both online and in-store! You’ll get instant access by registering and verifying your student status. See Express Student Discounts. Fare Buzz offers student travel prices of up to 60% off every day. Plus, use code STU10 to get an additional $10 off your next flight! See Farebuzz Student Flight deals. You’ll get 20% off lingerie and more from Frederick’s of Hollywood when you verify your student status through Unidays. See Frederick’s of Hollywood student discount details. Students and educators can save 5% off select Lifebook notebooks and tablet PC’s available in the Fujitsu webstore. To get the savings, you’ll need to call in your order to 1-800-FUJITSU. See Fujitsu Student Discounts. Students who maintain a “B” average or better can qualify for the good student discount on car insurance from Geico. Talk to your agent or call their customer service line for details on how much you can save! See Geico Student Discounts. Recent college graduates, grad students, and those attending any two or four year degree program are eligible for discounts through General Motors’ College Discount program. You can save big on a purchase or lease of a qualifying Chevrolet, Buick, or GMC model. Just verify your eligibility on their site, then get your authorization number and take it to your local dealer to claim your special pricing. See GM College Discount details. Guilford Press regularly offers discounts on books, videos, newsletters, and journals plus free shipping on your order! You’ll need to visit their student discount page to see what the current offers are, and order online using your student ID# and promotional code. See Guilford Student Discount details. Verify your academic status with your student ID to get 10% off all orders delivered to US addresses at Hanes.com. See Hanes Student Discount deals. Show your International Student Identity Card at the Hard Rock Cafe when ordering and you’ll enjoy 10% off your meal at select locations. See Hard Rock Cafe discount details. Keep up with all of your favorite HBO programs with the HBO Now student discount. You’ll get a free month plus special pricing when you register for an account and verify your student status through their site. See HBO Now Student Deals. Helzberg Diamonds offers a full selection of college jewelry and a 10% student discount for college and university students. Enter your personal details on their site and they’ll send you a one time use code to save on your next purchase. See Helzberg Diamonds Student Discounts. The Houston Ballet is a big supporter of education. They offer college student rush tickets for $10 starting 90 minutes before select performances during the regular season. There are also discount tickets available for $15 each or $25 per pair. These are open to visitors between the ages of 18 and 25 for Friday evening performances during the regular season. See Houston Ballet deals. HP’s official student discount program, HP Academy, offers up to 20% off all HP products, plus free shipping on all orders and customized recommendations to help you pick your perfect PC. See HP Academy deals. When you shop in store at J. Crew, make sure you show your valid school ID to get 15% off. This discount is only good in stores and not valid on third-party branded merchandise. See JCrew Student Discounts. Students get an extra 20% off all orders from Joe’s Jeans with a UNiDAYS membership. Verif your academic status today to save! See Joe’s Jeans Student Discounts. JourneyEd offers an impressive selection of software and technology at educational prices. You’ll find discounts on all the programs you need for productivity, arts and design, security, music and video, and more. And they have notebooks, desktops, tablets and accessories too. Submit your proof of academic status and save today! See JourneyEd deals. Just My Size offers an additional 10% off for actively enrolled college students. You’ll need to verify your academic status with your Student ID to get your unique discount code. See Just My Size student discounts. Full time or part time students can get an exclusive 20% discount at Karen Kane. You’ll need to verify your affiliation through their site to qualify for the special pricing. See Karen Kane student discounts. Use your International Student Identity Card at KinLeaves.com and you’ll save 20% and get free shipping worldwide on all of their gadget skins. It’s a great way to protect all of your favorite devices and show off your style at the same time! See KinLeaves discounts. Lenovo offers a portal for students, faculty, and staff to purchase technology products at a special, discounted rate. The offers change regularly, so be sure to check in to see what’s available! See Lenovo Student Discounts. With a valid Student ID, you can get discounted tickets at the Lincoln Center and its affiliates like the Julliard School, New York City Ballet, New York Philharmonic, and more. Check out their student discount guide online for links to all of the programs available. See Lincoln Center Student Discounts. The Logitech Student Store offers discounted prices for students and teachers. Use your .edu email address and save up to 20% on some of the hottest accessories for all of your favorite tech. See Logitech Student Discounts. Use promo code STUDENT30 to get $30 off fees at Lookupfare.com when booking for 3 or more people. Plus you’ll find amazingly low pricing on fares to domestic and international destinations! See LookupFare Student Deals. Shop in store at Madewell and present your Student ID and you’ll get 15% off all Madewell items! See Madewell Student Discounts. Manfrotto offers 10% off all orders from their site. Just register on their student discount page to qualify for your discount for the next school year. See Manfrotto Student Discount details. Medelita offers a student discount on lab coats and scrubs. Just submit a copy of your Student ID for verification on their website, and you may be eligible for an individual student discount on their high-quality, functional, and durable apparel! See Medelita Student Program details. The student tickets option from the Memphis Symphony Orchestra offers $10 tickets to concerts and events. Just bring your valid student ID to the MSO box office and save on tickets to concerts from their Masterworks, Pops, and Paul & Linnea Bert Classic Accents series! See Memphis Symphony Orchestra Student Discount details. Students, parents, and educators can save 10% or more off select Microsoft products. Just select your K-12 or higher education school from their list to score your special pricing. See Microsoft Store Student Discount deals. ModCloth offers 15% off with your verified UNiDAYS Membership. Make sure you register and verify your academic status to qualify for this special discount. See ModCloth Student Deals. At moo.com, students save 10% off sitewide! Just click through their site and save. See Motorola.com deals for students. At Motorla.com, students get 15% off their first order of business cards, postcards, labels, and more! Just click through their site and save. See Moo.com deals for students. Drivers age 16 to 24 can save on their auto insurance policy with Nationwide. To qualify, you must be a full-time high school or college student and maintain at least a B average. Homeschooled students can present results from standardized testing such as PSAT, SAT, or ACT that ranks in the top 20% of national performance to get the discount. See Nationwide Good Student discount details. Shop Necessary Clothing through the StudentRate.com site and you’ll get 8% cash back on all online purchases. Cash back awards will be credited to your StudentRate account within 24-48 hours after checkout. See Necessary Clothing discounts for students. College students get $2 off tickets to the New England Aquarium, or $2 off tickets for standard presentations at the Simons IMAX theater. If you want to visit both, they even have a combo deal! Just present a valid college ID at the ticket counter to get your student rate. See New England Aquarium deals. The College New England Pass offers unlimited access to Sunday River, Loon Mountain and Sugarloaf ski resorts for the whole season, plus the ability to purchase discounted ski lift tickets for your friends, and discounts at retail shops too. You’ll need to present a registrar’s letter certifying 9 credits at time of pick up, but you’ll save over $700 off the regular pass price! See New England Pass student deals. Norton offers a free 90 day trial of their best security suite to students. You’ll get the ability to install the suite on up to 5 devices, for real-time virus, spyware, and malware protection, advanced password management, and plenty of other features. See Norton Student Discounts. A UNiDAYS membership grants you 10% off purchases online and in store at Oasis. Membership is free and available to students in the US. See Oasis Student Discounts. Actively enrolled college students can save 10% at OneHanesPlace.com. Simply verify your status with your student ID and you’ll receive a unique promo code to get your savings! See One Hanes Place Student Discounts. Overstock.com offers a program called Club O Student, which is free for students and teachers. You’ll get free shipping, 5% reward dollars and dining rewards, and other perks. You can sign up for Club O Classroom here. Moving day can be a hassle, but with the Penske college discount, you’ll get 10% off truck rental plus an extra 10% off one-way rentals booked online. They’ve also got all kinds of advice and tips to help make your move stress-free! See Penske Truck Rental College Discounts. PharmaPacks gives all students 10% off. See PharmaPacks Student Discount details. Public desire gives 15% off regular prices on their edgy, fashion-forward footwear line. You’ll need to register and validate your school status with UNiDAYS to qualify! See Public Desire Student Discount details. Many public transportation systems offer discounted passes and tickets for students. Check with your local transit company to see how much you can save! Book your tickets through STA Travel and students will save up to 20% off Qantas airfare to Austrailian destinations like Sydney, Melbourne, and Brisbane! See STA Travel deals. Qatar Airways has special student offers for students under 30 years old who hold a valid International Student Identity Card, student certificate, or student visa. The discount also applies to teachers and parents of full time students who are traveling with their student. See Qatar Airways Student Discounts. Travelers between the ages of 12 and 25 qualify for a Youth Pass on Rail Europe. They have discounts from BritRail, Eurail France, Swiss Travel, and many other providers, so you can see Europe for less! See Rail Europe Student Discounts. Register with a valid academic email address (.edu, .ac.uk, @student or @stud) and you’ll get 15% off select peripherals and 5% off select systems! See Razer Education discounts. Your UNiDays membership entitles you to 15% off orders at REN Clean Skincare. Verify your student status to get instant access to the discounts today! See REN Skincare Student Discounts. Sam’s Club knows college is expensive. So they offer a $15 gift card to all new or renewing members with a valid student ID. See Sam’s Club Collegiate discounts. Saucony offers 10% off purchase for students. See the Saucony student discount here. Sixt has rental discounts for students and teachers at all of their US locations. Book through their website and show your Student ID when picking up your car to get 5% off your next rental! See Sixt rental car discounts for students. Looking to get away for a while? SmartFares offers amazingly low prices on their Student Travel Deals, plus $15 off with promo code SFSTU15. See SmartFares Student Discounts. With Sperry’s Student VIP Membership Program, students get discounts, giveaways, exclusive birthday offers, free shipping and returns, and more! Just sign up on their site, and validate your academic status at checkout and save 15% on your purchase. See Sperry’s Student Discounts. Verify your school status through UNiDAYS and you’ll get 15% off faux fur orders from Spirit Hoods. Plus, each purchase gives back to conservation programs to help protect endangered species! See Spirit Hoods’ Student Discounts. Your valid student ID can help you save on tickets to all of your favorite sporting events. Check with your local teams and stadiums to see what offers are available in your area. Spotify Premium is only $4.99 for students who are registered at a U.S. accredited higher education institution. Register on their site to get your discounted subscription. See Spotify Premium’s Student Discounts. Squarespace offers a 50% student discount off your first year. Just search for your school through their student discount page and sign up with your .edu email address to save big! See Squarespace’s student discounts. STA Travel are the experts in student travel. They offer discounts on flights, hotels, and tours so you can see the world or explore a single city, country, or region. Some special fares may have age restrictions and eligibility requirements so make sure to check before you purchase your tickets. See all STA Travel discounts. State Farm offers several student discounts. Their Good Student Discount rewards good grades with up to 25% off, and if you are away from home for school, but keep a car at home for holidays and breaks, you could be eligible for the Student Away at School Discount. Talk to your local agent for details on these and many other programs! See State Farm Good Student and Student Away discounts. StudentUniverse offers cheap student flights, discounted hotel stays, and special pricing on tours to all of your favorite destinations. See StudentUniverse deals. US College Students can save big on select smartphones from T-Mobile. You’ll need to call their verification line (1-844-301-2425) to chat with an agent, but if you qualify, you’ll score $60 off a new smartphone and 20% off select accessories! See T-Mobile Student offers. Save 10% off your purchase at Ted Baker. See Ted Baker’s student discount. TestCountry offers a special student discount of 10% off any order up to $250. They have a wide variety of health-related tests as well as kits to test air and water quality and more. Just use promo code EDU10OOFF at checkout and you’ll save 10%! See TestCountry’s student discount. See Test Country’s student discounts. Students save big on subscriptions to The Economist. You can get special pricing on print, digital, or combo subscriptions for 6 months or longer. See deals from The Economist. The Met Students program from The Metropolitan Opera offers discount tickets to select performances. You can register for your student rate tickets by submitting the online form along with a copy of your valid, full-time student ID. Students can also purchase discount same day tickets directly from the box office, starting at 10 AM on the day of the performance. See Student Ticket deals from the Met. The New York Times offers discounted subscriptions for students and teachers with their academic rate program. Subscribe to the times for as little as a dollar a week for basic digital access. You’ll need to sign up with a valid .edu email address to access these discounts. See the New York Times academic rates. Students get over 75% off subscriptions to The Wall Street Journal with a 15 week subscription starting at just $15! See the Wall Street Journal Student rates. Tidal offers a student discount on their music streaming service. You’ll get 50% off their premium and HiFi plans. Just click “Student Discount” and verify your credentials through their site. See information about Tidal US Student Discounts. Members of StudentRate.com get 10% cash back on all purchases from TOMS Shoes. Just make sure you shop through the StudentRate link and you’ll see your cash back in 24 to 48 hours. Get student discounts on Toms Shoes or see all Toms Shoes coupons. Students can save 15% off their purchase at Tommy Hilfiger’s website. Get Tommy Hilfiger’s Student Discount now. You can save 10% off at Topman. Get Topman’s Student Discount. At TopShop.com, students get 10% off some of the UK’s best fashion year round. Get your Topshop student discount. Student Fares on Travelation start at just $101 for a round trip domestic flight or $293 for international travel. Plus, coupon code TLSTU15 will score you $15 off your ticket price! See Travelation’s student discounts. Full time students between ages 16 and 25 who maintain an “A” or “B” average are eligible for a Good Student Discount through Travelers Insurance. Present your records to your Travelers representative to see how much your grades can save you! See Travelers Insurance Good Student Discount details. Students save an extra 10% off at Under Armour’s ua.com. Register and verify your academic status to qualify! See Under Armour’s Student Discount. With a valid UK NUS card or StudentBeans membership, students can get 10% off all full price purchases through Warehouse London. See discounts for students from Warehouse. Your International Student Identity Card will get you 20% off editing and proofreading at WordsRU. Their experts will make sure your spelling and grammar is correct as well as ensure compliance with numerous citation and style requirements. See WordsRU student discounts. ZipCar is the car sharing program that offers self-service access to cars 24/7 as well as low hourly or daily rates that include gas and insurance! And with a student membership, you can get around the easy and smart way with discounted membership fees and easy access to cars on campus. Learn more about Zipcar for Students.